Balve Cave in western Germany definitively broke into the public consciousness with Die Fantastischen Vier’s MTV Unplugged concert in 2000. 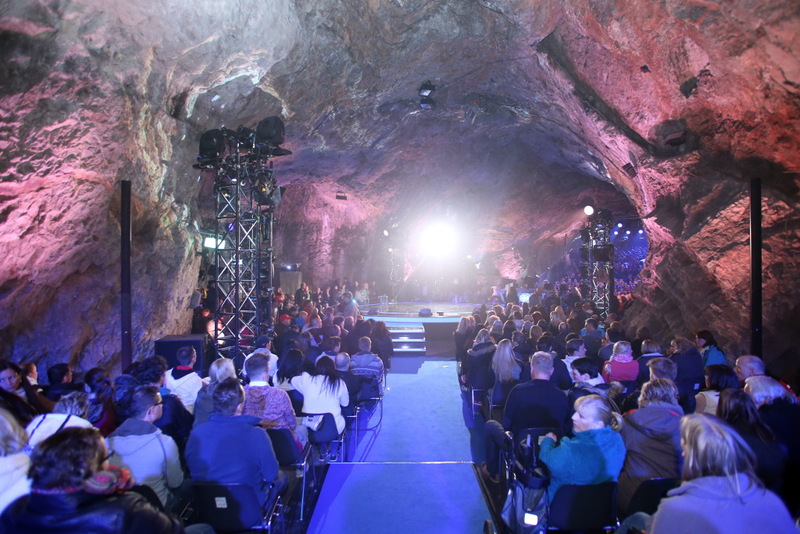 The cavern might be an extraordinary backdrop for musical events, but it can be a real challenge for sound engineers. 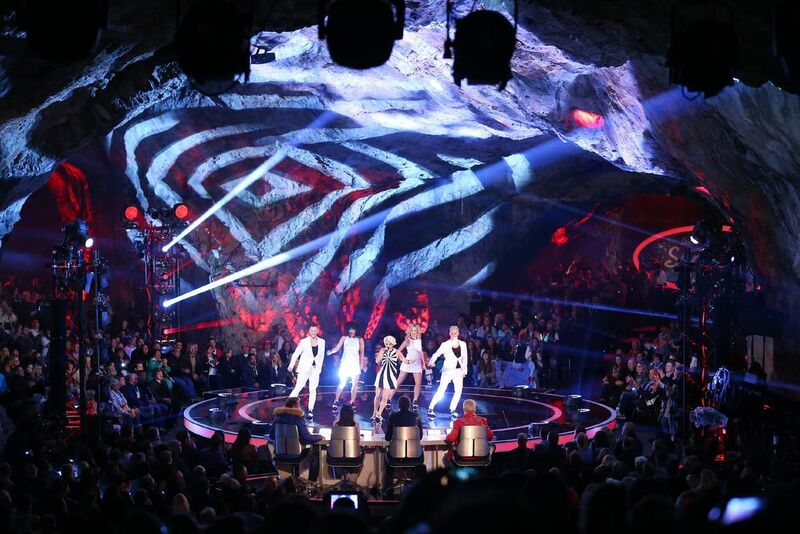 That didn’t stop Fohhn creating perfect acoustics for the recent episode of “Deutschland sucht den Superstar" (Germany’s version of Pop Idol) set in the incredible natural arena. A sound system has a variety of roles to fill during the filming of a TV show. 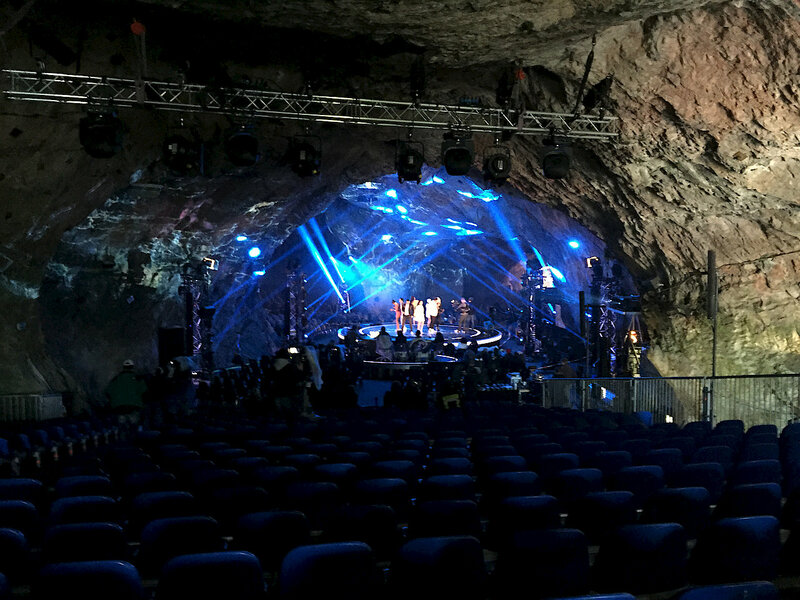 It was essential to provide DSDS viewers with excellent quality sound for both the spoken and musical contributions – without interfering with the atmosphere microphones that were picking up the cave’s unique ambience. 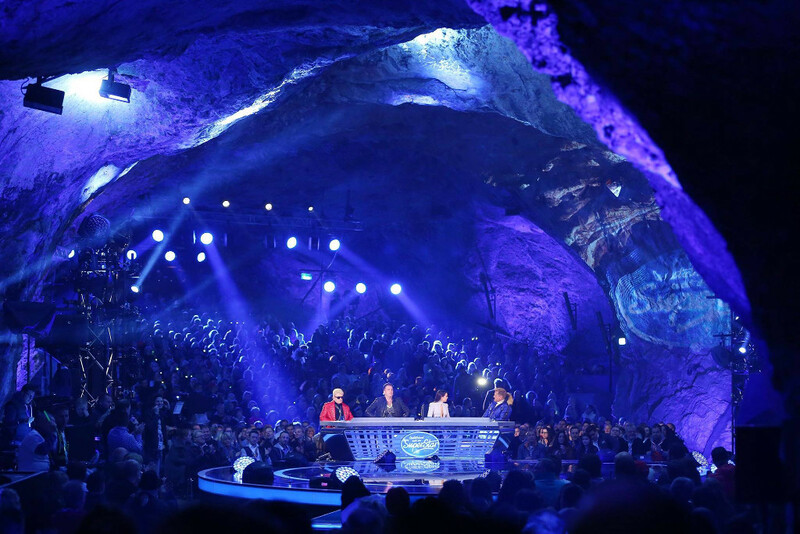 “The requirements for the sound set up for the DSDS Balve Cave episode were clearly defined: decentralised and out of sight, yet with some sections being precisely illuminated and remote-operable. Not forgetting that this is a music show we’re producing, so making compromises regarding output and frequency response wasn’t an option. I’ve come across Fohhn speakers a few time and I never had any doubts about them,” said Christian Orth of K+O+K Büro für Audioplanung. He was particularly pleased with the excellent response of the FM and LF systems to such an acoustically complex environment. Additional LF-120s were set up at 6 to 8 metre intervals as delays. The audio experts used Linea Focus LF-220s on free-standing mounts for the two side arms. “Conventional speakers would have spread the sound everywhere, it would have bounced off the stone ceiling and walls and those echoes would have reached the atmosphere mikes among the audience and interfered with the pick up. So in order to target the sound from the main speaker system only where it was needed, and to keep it from reflecting off surfaces it shouldn’t be and affecting the atmosphere mikes, the Fohhn Beam Steering Technology system really is a one-of-a-kind solution,” Freudenberg added. The speakers’ sound output was managed from a laptop in real-time to create a unique and crisply-defined soundscape.